Forex trading is complex but you should be able to make a profit if you educate yourself and use efficient strategies. 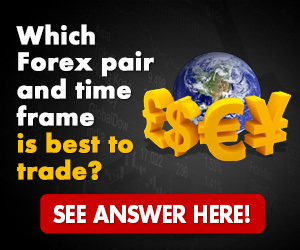 You should go over this article to learn more about Forex trading. Do not start trading until you fully understand how the market functions. Plan on spending at least a few months educating yourself about Forex trading. You might be tempted to start trading right away but you will get better results if you understand how the market fluctuates and know which strategies are safe. There are free resources you can use to learn more about Forex but do not hesitate to spend money on quality books or classes. Take the time to compare different brokers before you choose one. 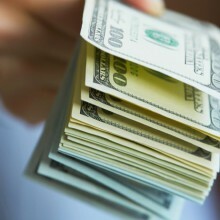 You should do some background research to figure out how reliable different brokers are. Talk to other traders for some recommendations and read through the official websites of the brokers you are interested in. Find a broker with an excellent reputation, good leverage rates and no commissions. If you are a beginner, you will benefit from finding a broker that offers educational material you can use to learn more about the market. Find professional traders who can help you improve your skills. A lot of experts have a blog, a social media account or an RSS feed they use to share their tips and predictions about the market. You should also subscribe to a quality Forex newsletter to stay up to date with trends. It is best to follow the trend until you have enough experience to make your own predictions. You should also learn more about fundamental and technical analysis so you can follow predictions shared by experts. Always look for safe investments. Minimizing your risks is the best way to earn a living through Forex trading. You should only invest your money if you can justify your investment and establish a strategy designed to minimize your risks. You should decide on a profit range before you invest your money and sell once you earn a profit within this range instead of waiting and taking a risk. You should also use stop loss orders to get rid of your investments just in time to get your money back. You should keep track of how much money you earn and lose through trading. Start a Forex journal so you record all your investments and figure out how much money you earn on the long term. 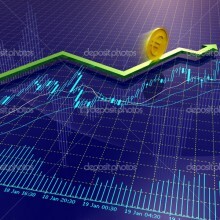 If you do not make profits, you should go back to learning more about Forex trading or change the strategies you use. Keep in mind that most traders do not earn a good living through Forex until they have years of practice and experience. Do not give up if you are not getting the results you were hoping for.